At the age of 13, Rocc was travelling with his siblings in the back of their father’s utility when it became involved in a chain collision. As his father’s interpreter, Rocc came to know the crash repairer and asked him for a job during the Christmas holidays. Rocc had intended to return to school but he enjoyed working and decided to stay on. In the years that followed Rocc continually expanded his experiences by working for various crash repairers. At the age of 21 he travelled overseas and during his stop-over in England he spent some months working as a panel beater, commanding good wages and responsible positions. When he returned to Australia, Rocc began repairing cars independently; initially in his father’s tomato shed at the back of their family home, then soon after it became apparent that he needed to expand. In 1965 Rocc built his workshop on his own property next to his parent’s home, at Main North Road, Salisbury. He named his new business Carisbrook Crash Repairs after the local ‘Carisbrook Park’. 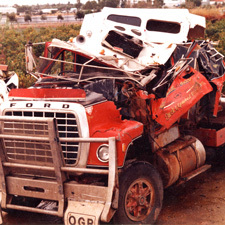 In the late 1960’s Carisbrook Crash Repairs began to also repair smaller trucks and commercial vehicles. Carisbrook then went on to repair many larger trucks and buses. 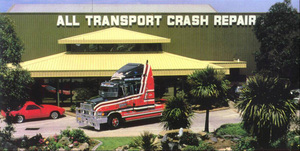 As the demand to repair heavier transport vehicles increased, Rocc began to develop and follow his vision for a better equipped and more specialised facility outside of Carisbrook Crash. 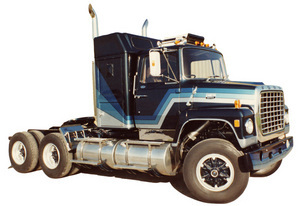 During this time Rocc had also purchased land on which he built and ran a successful automotive wrecking business. 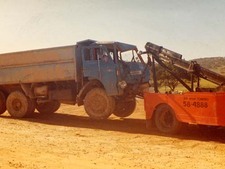 In 1981, Rocc sold his wrecking business and purchased land at Regency Park in order to build and establish All Transport Crash Repairs in the ‘Heart of Truck Country’. 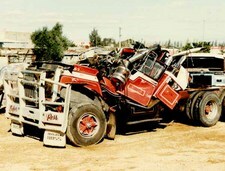 In September 1982, All Transport Crash Repairs was opened. 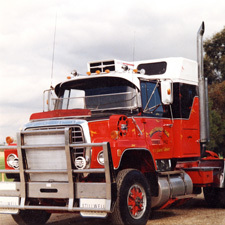 The following month a newly painted Ford Louisville LNT9000 (pictured) won the coveted First Prize “Truck of the Show” in the Adelaide Truck & Bus Show. 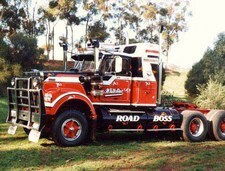 Various truck awards and entries are a testament of the success and pride of workmanship at All Transport. 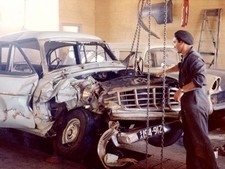 In the meantime……..Carisbrook Crash continued to grow as a specialised car repairer. The property next door was purchased to allow for major expansion to the workshop, paint-shop and office. The new workshop was built around and over the top of the existing building while business continued as usual. Then there were only a few days interruption as the old workshop was demolished from underneath. 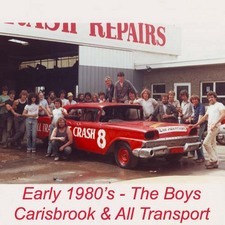 Carisbrook Crash Repairs' 25th Anniversary Celebrations. 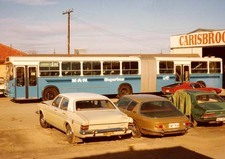 In 1997, All Transport Crash Repairs began an extensive bus refurbishing program. 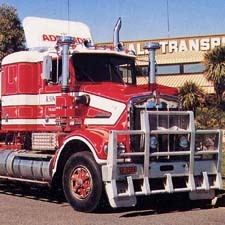 The name All Transport Industries was then registered to recognise the diversity of work carried out. From 2000 to 2002, All Transport Industries undertook a contract to restore five 1929 H-class trams to their ‘Former Glory’. A complete workshop was set up nearby to undertake the major Heritage Tram Project. Continued growth at All Transport led to a $1.2 million expansion. 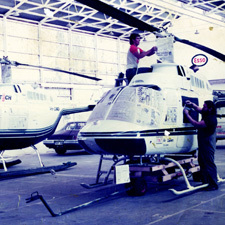 This project, completed in 2002, increased the size of the two workshops and included additional major equipment in both the repair and paint shop areas. It also created a new two storey office complex and a spacious employee’s lunch room. 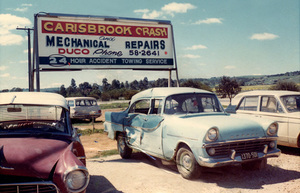 In 2005, Carisbrook Crash Repairs was sold after 40 successful years. 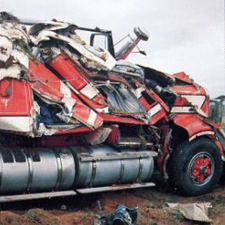 Today, Rocc still owns and manages All Transport Crash Repairs, a company that continues to be one of Australia’s leading Heavy Transport Crash Repairers.